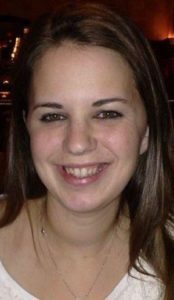 Alana L. Watson, 31, of Lancaster, passed away at UMPC Shadyside Pittsburgh on Wednesday, January 16, 2019. She was the wife of Thomas J. Watson, with whom she shared 5 years of marriage this past May 11th. Born in Lancaster, she was the daughter of Dale H. and Janice A. Eckroth Miller of Columbia. Alana was a 2005 graduate of Hempfield High School and earned her BSN at Penn State University. She loved being a Registered Nurse, working at UPMC Lancaster in the Med Surgery area. She had also worked at Roxborough Memorial Hospital in Philadelphia. She enjoyed the outdoors, going for walks and trips to the Outer Banks. Her greatest treasure was her family, especially her son, Jackson. Alana was a member of Holy Spirit Lutheran Church of Lancaster. In addition to her husband and parents, she is survived by her son, Jackson P, her sister Ashley L. married to Fernando Garcia of Columbia, her brother John F. married to Melissa Nehring of Flanders, NJ, and her best friend and “sister”, Alice Petrovich. Friends will be received by her family on Saturday, January 26, 2019 from 12:30-2PM at Holy Spirit Lutheran Church, 3131 Columbia Ave., Lancaster, PA with the Memorial Service following at 2PM. In lieu of flowers if you would like to make a donation to her son, please make checks payable to Jackson Watson and send to BB&T Bank, 1110 Corporate Blvd., Lancaster, PA 17601. My deepest sympathies … my thoughts and prayers are with you. I never met Alana. And no one knows why God calls home a young person with so much life left to live. But from what I’ve read about her, it is clear He will welcome her with open arms and wrap her in His love. Tom, you and Jackson have my deepest sympathy, as do Alana’s family, and are all in my thoughts and prayers. I hope you find some comfort in the outpouring of love and shared grief, even if only in some small way. John, Melissa and family – so sorry for your loss. Praying for comfort for your family during this difficult time. Dale and Jan, please accept my sincere condolences in the loss of your sweet Alana. Her short life was spent helping others and raising a family. Alana will be well thought of for eternity. May you find peace. Alana was a talented and conscientious girl with a marvelous sense of humor and an inherent kindness toward others . I saw her only once after graduation when I was at Lancaster General for a test. Alana had grown up and I didn’t recognize the professional young nurse walking toward me in the hall, until she shrieked my name and threw her arms around me and became , for a just a moment that 15 year old freshman again. I didn’t know that she had married and became a mother or that she had died until I read her obituary. I will remember and miss the teenager and young nurse that I knew and the wife and mother that I didn’t. We will always remember Alana, the girl with the smile of an angel and a heart full of gold. Our thoughts and prayers are wth her family and friends during this sorrowful time. A woman taken to soon. My heart goes out to all of you. I worked with Alana at times when I was pulled to the 4th floor. She was so sweet and always ready to help. I will forever remember her beautiful smile. I left before she had Jackson but always enjoyed seeing pictures on Facebook. You could see her joy and pride shine through the pictures she posted of her family. I will continue to keep her family, especially her husband and son, in my prayers. She was a shining light to the nursing field and will never be forgotten. My condolences to you all.